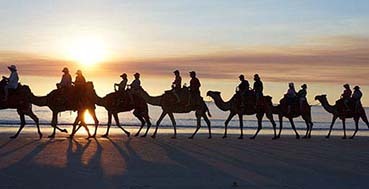 Broome's famous Cable Beach and camels at sunset. 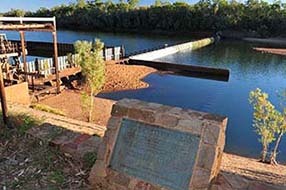 The old weir on the Fitzroy River. 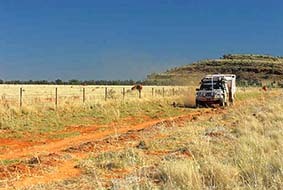 Along a Fitzroy River back road. 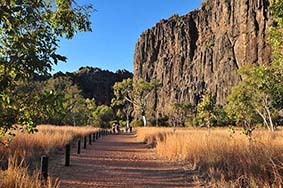 From there we headed to Windjana Gorge and up the Gibb River Road to Kununurra. North of Kununurra we checked out the Keep River and its camping. 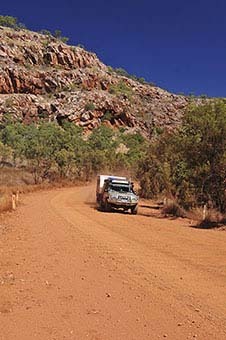 Tavelling along the Gibb River Road, and Windjana Gorge. 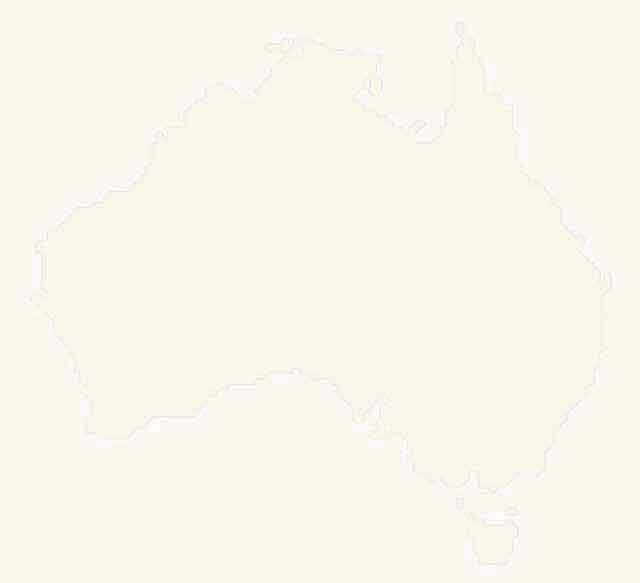 From the Kimberley we rushed east stopping at the famous Newcastle Waters before heading on. This is a famous cattle property, which my great uncle used to own at one stage, and up until the mid 1970's was also the junction of three major stock routes. With trucks, the stock routes closed as did the pub! Ron at the old Junction Hotel, Newcastle Water. 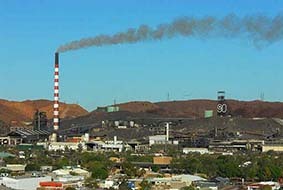 With a few days to kill around Mt Isa we explored some of the more remote country between this big town and Cloncurry. It was bloody dry, the country being in the grip of a prolonged drought but we still enjoyed wandering some of the old mining trails in the region. 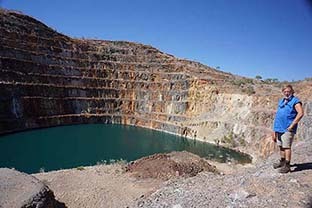 The main pit of the Mary Kathleen mine. 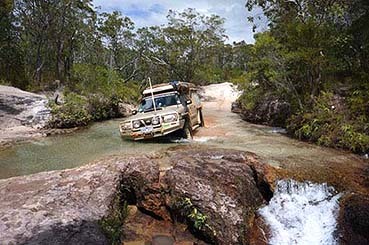 Travelling a backroad to Cape York. 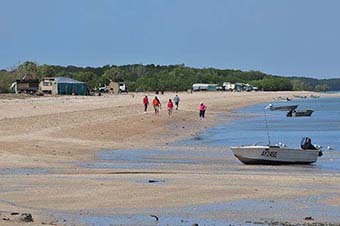 Popular beach camps near Bathurst Heads. 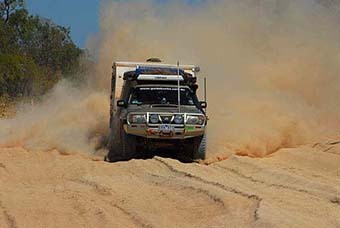 We headed through the heart of Cape York taking some backtracks before meeting the main track north of Laura and pushing on to the Jardine River. 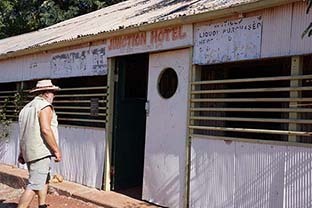 We didn't bother going any further, preferring to revisit places we hadn't seen for a while on our way south to Cooktown. 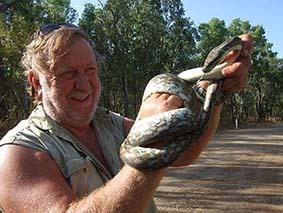 Ron with a friendly carpet python we rescued from the road.